The East Tower (Tōtō) of Yakushi-ji Temple was built in the 8th century and has existed for more than 1300 years. This three-storied pagoda in the ancient capital of Nara is one of the most valuable cultural assets in Japan, designated by the government as a national treasure. 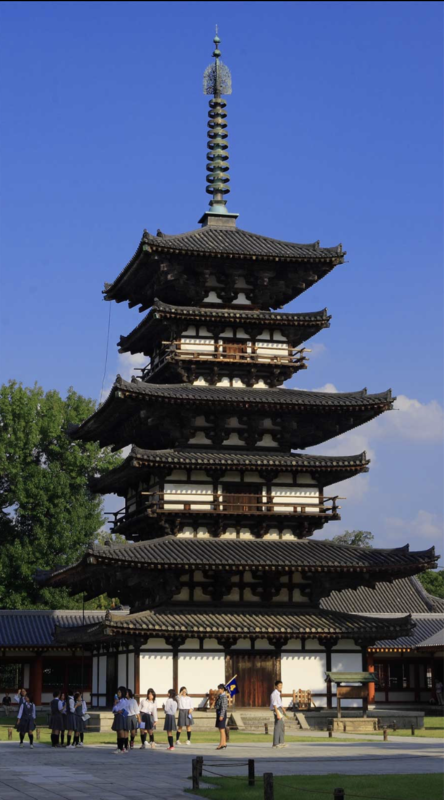 As large-scale repairs are currently underway, it was the casting craftsmen of Takaoka City, Toyama Prefecture, who were entrusted with restoring the metal shaft (sōrin) that tops the pagoda. On January 29, 2019, the restoration was finished after 14 months, and the efforts of the craftsmen took shape. Repairs of the east tower as a whole are expected to be completed by April 2020. 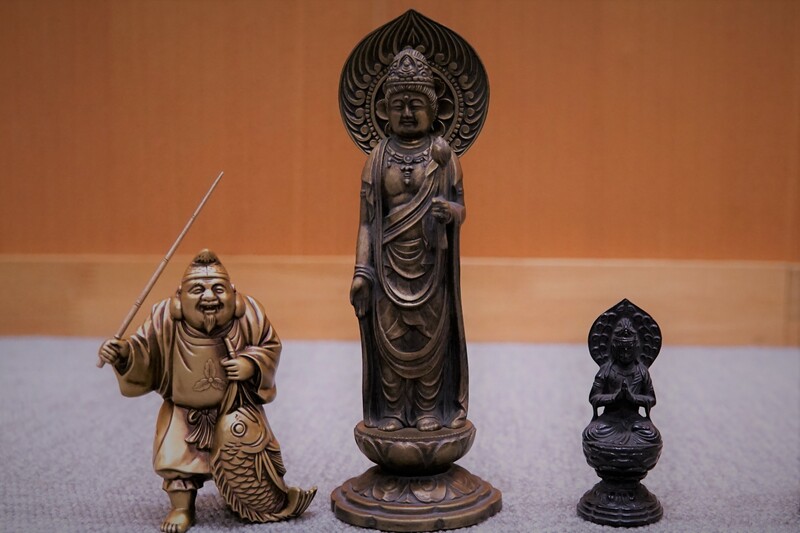 Takaoka, historically known for producing copperware such as Buddhist objects, bronze statues and tea ceremony sets, has been a casting town for 400 years. Takaoka holds the top share of the Japanese market in copperware, accounting for the majority of its production throughout the country. 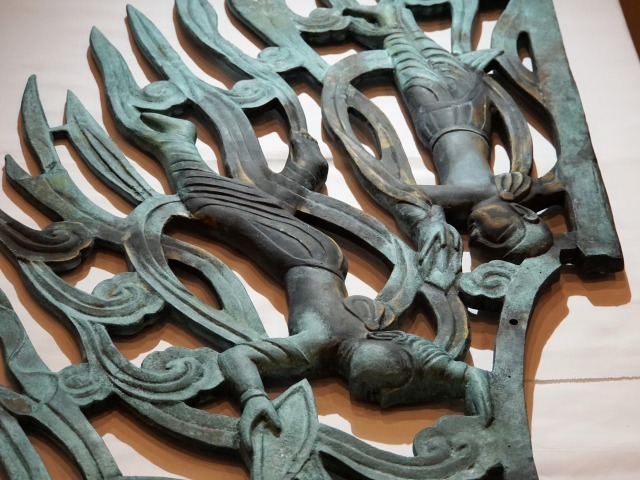 Dealing not only with copper, but also with other metals such as iron, tin, and aluminum, their casting and processing technologies have advanced. They make a wide range of products, from artwork to industrial goods, and there are more than 200 manufacturers and studios in the city. 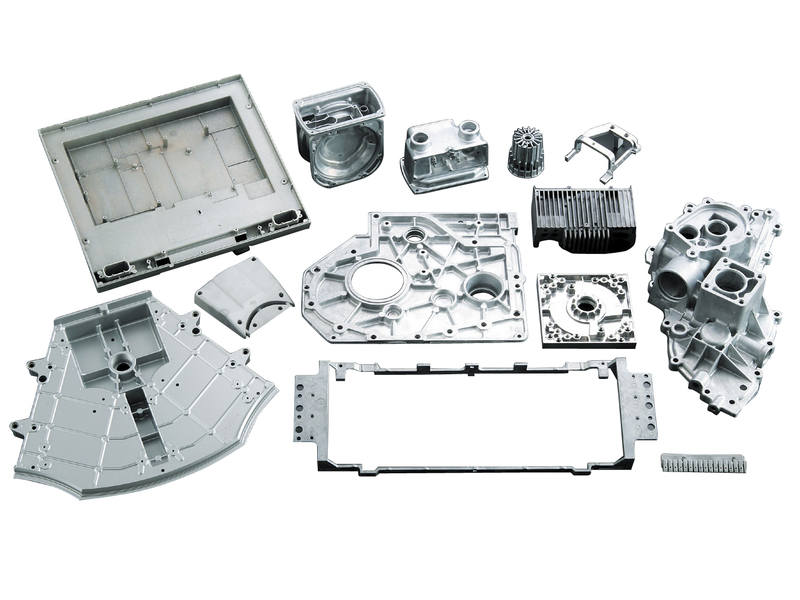 The reason why such a challenging project was possible was that experts in every field related to metal processing, from modelling, to casting, finishing, metal carving and coloring, were all present in Takaoka City. “The strengths of the area, with 400 years of experience, were properly put to use,” commented Mr. Kajiwara. The city is aiming to become the base for the restoration of cultural properties in Japan, planning to recieve requests from all over the country, to coincide with the governent’s policy to use cultural properties as tourist actractions, instead of just keeping them in strage. 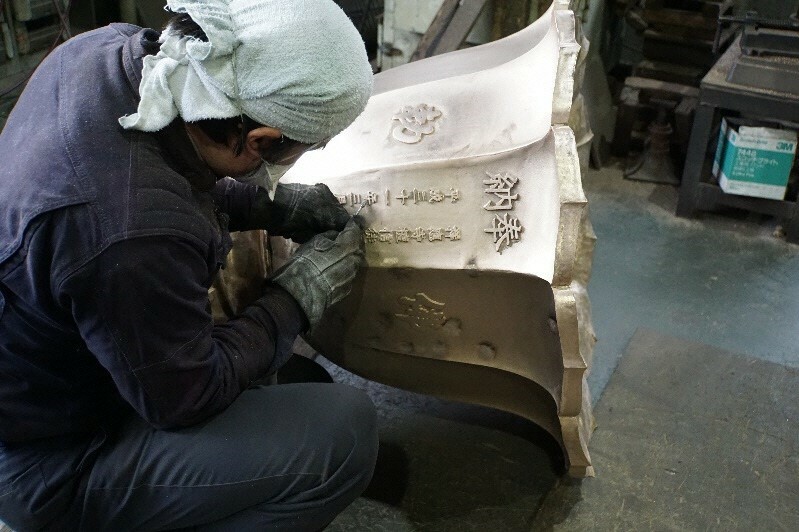 Oigo Works, one of Takaoka’s metal casting companies engaged in the restoration of the national treasure, claims 70% of the domestic share for manufacturing bonshō, Buddhist temple bells. 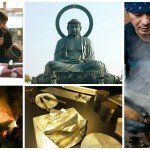 A long-established business of 200 years, Oigo has accepted numerous commissions from prestigious temples across Japan. Until now, it has produced over 20 000 Buddhist bells of various sizes, including Japan’s largest bonshō, weighing 48 tons. According to the 14th-generation head of the company, Mr. Hideji Motoi, during the long history of Buddhism in Japan since its introduction from China and the Korean Peninsula, temple bells underwent their own unique development.“Generally speaking, the sound of bells in China and the Korean Peninsula is relatively high and does not last very long. However, the Japanese, who venerate the traditional aesthetics of wabi-sabi (acceptance of transience and imperfection), preferred a bell with a rumbling, heavy bass sound and long-lasting resonance,” said Mr. Motoi. In recent years, scientific studies have shown the “1/f fluctuation” (pink noise) in the reverberation of the bell to be effective for relaxation. Oigo has been seeking to perfect the unique sound of Japanese bells, and besides bonshō in temples, the company produced Hiroshima’s Peace Bell (rang at the Peace Memorial Ceremony in commemoration of the atomic bombing on August 6 each year), and the Bell of Reconstruction in Kamaishi City, Iwate Prefecture. The bells produced by Oigo Works are widely acclaimed overseas; in particular, more than 20 bells have been delivered to Taiwan. In 2006, it supplied the Dharma Drum Mountain (法鼓山) with a gigantic bonshō, which also became the largest in Taiwan. 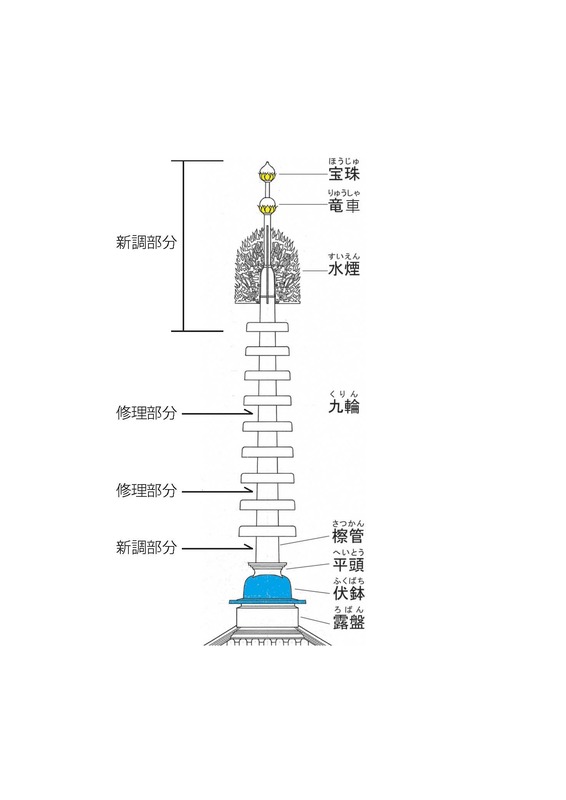 With an outer diameter of 2.6 meters, a height of 4.5 meters, and a weight of 25 tons, the bell was cast so that the 70 000 characters of the complete Lotus Sūtra (法華経) would appear as raised characters on the inside and outside of the bell. This is said to be the largest number of characters cast in the history of Japanese casting.In addition to Taiwan, the company’s bells are exported worldwide, including to countries such as Australia, Brazil, China, France, Germany, Indonesia, New Zealand, Peru, Spain, Sri Lanka, Switzerland, Thailand, the UK, and the US. 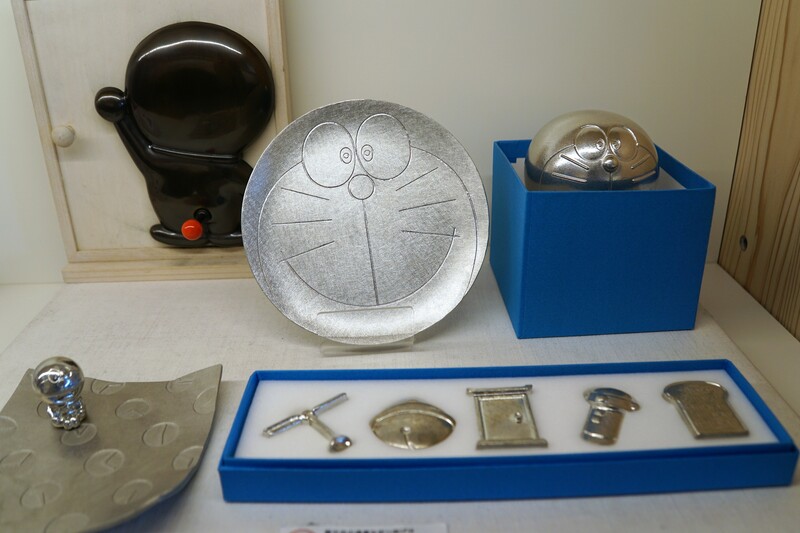 A major characteristic of Takaoka City as a casting town is its diversity of metalware, encompassing a wide range of fields from traditional Buddhist objects and works of art, to interior goods, accessories, monuments and industrial products. Techniques continue to be refined through the creation of diverse products, strengthening the area’s production. 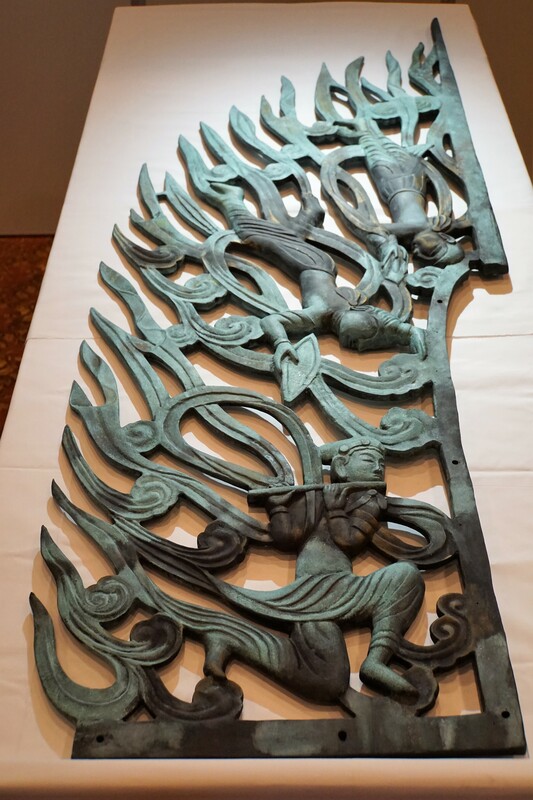 Nagae Co., Ltd. (founded in 1954) has both an art division handling traditional Buddhist and bronze statues and a technology division developing industrial products such as metal components and building materials for apartment buildings. 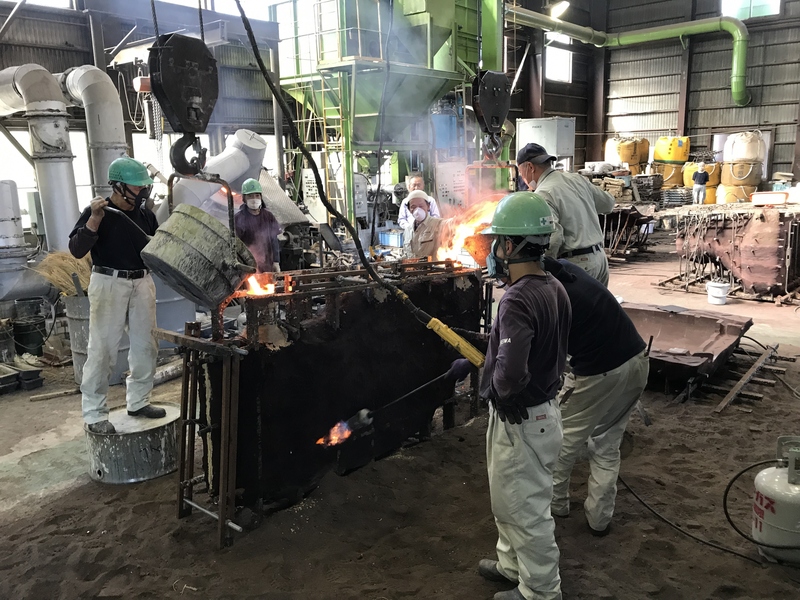 “The strength of Takaoka lies in its ability to produce both traditional handmade castings and industrial products made of metals such as aluminum,” remarked Mr. Yoichi Nagae, the 4th-generation head of the company. 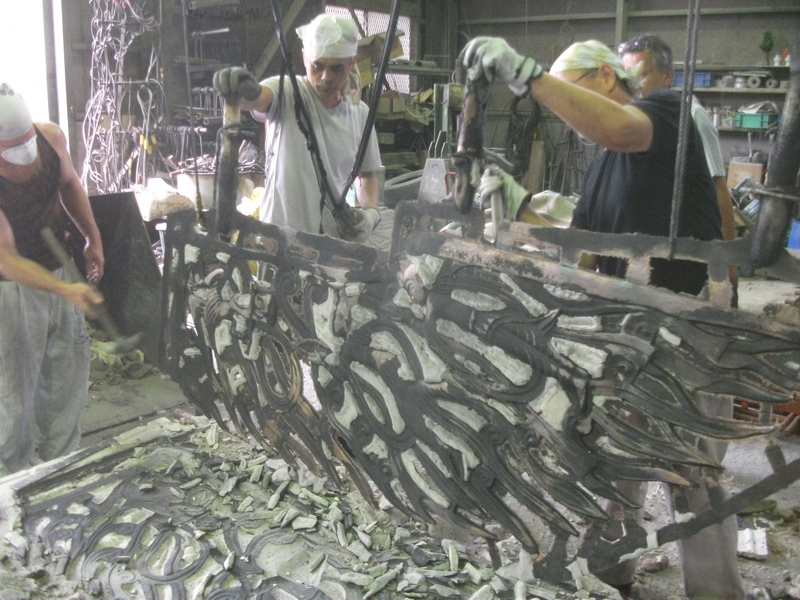 “At our company, the same craftsman can be working in both fields, which further refines their technique and quality.” As a result of active development of metal-coloring technologies for the company’s artistic undertakings, they were able to respond to customers' requests for specially colored apartment building materials. Nousaku Corporation (established in 1916) also developed a number of its own products suitable for contemporary lifestyles, such as interior goods and tableware, in addition to Buddhist objects. Exploiting the malleability of tin, the company produced baskets made of pure tin, which are freely bendable and stretchable by hand. This quickly became a hit product, and are currently being sold at the official MoMA Design Store of the New York Museum of Modern Art. Furthermore, the company has entered the medical field by supplying surgical instruments that take advantage of the antibacterial properties and flexibility of tin. Lately in Takaoka, an increasing number of places have been allowing general visitors to observe the techniques of craftsmen firsthand and experience making their own crafts. 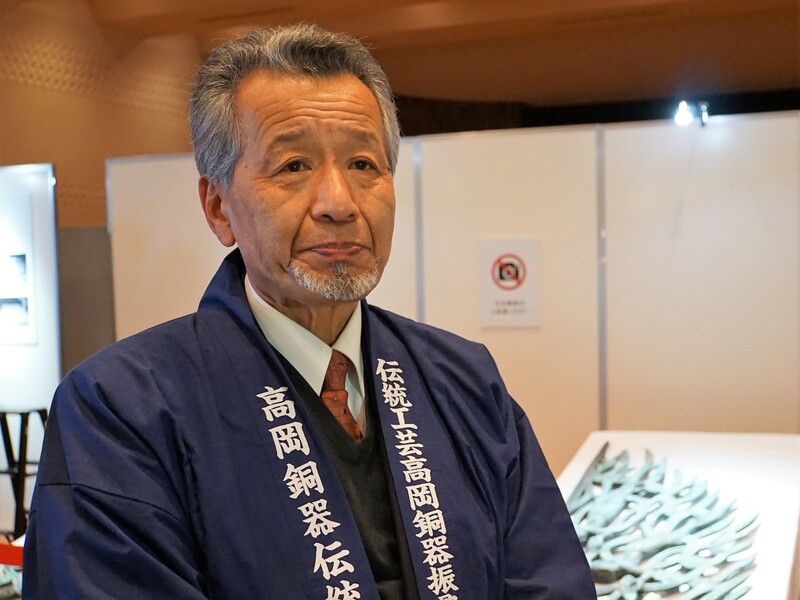 This has played an important role in raising awareness of Takaoka casting, as it was unknown when the companies were mostly subcontractors of major companies in the past. 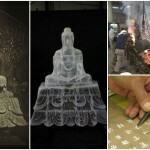 A gallery-workshop has also been established by Momentum factory Orii, Co., Ltd, a company which has taken requests for the decoration of the Imperial Palace. 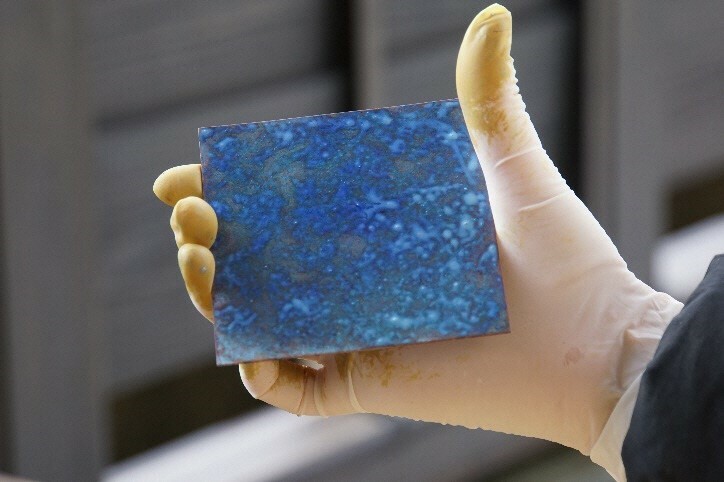 It is known for its special metal-coloring techniques through chemical reactions with substances such as vinegar or rice bran. Visitors can change the color of metals using this technique to create their own colors, in a unique Takaoka experience. Please send us an email for inquiries in English.